What's big and collectible and Destiny all over? Greg Burke delves into the loot box that is the Destiny 2 Collector's Edition. Everything is bigger in Texas, and in video game collectibles. 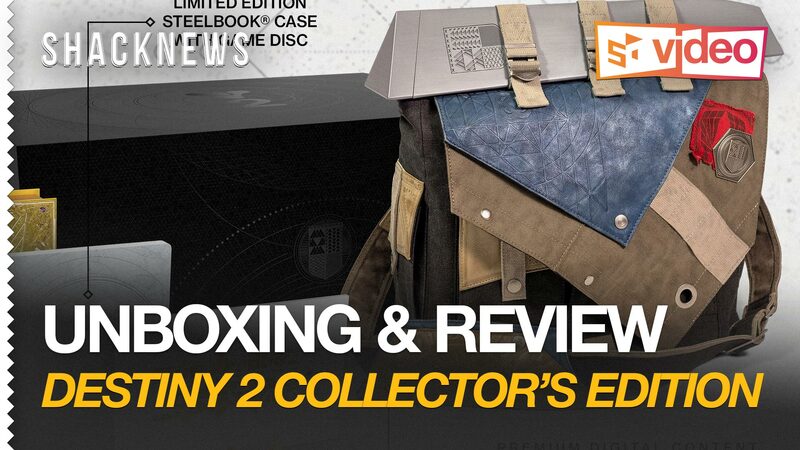 The Destiny 2 Collector's Edition for PlayStation 4 puts other CEs to shame by packing in a steelbook case, high-quality knick-knacks, and—dare we say it?—a practical item you won't feel silly wearing out in public. Maybe. For more gaming videos and Destiny 2 content, subscribe to Shacknews and Gamerhub TV on YouTube. Looking for expert advice on Bungie's hotly anticipated sequel? Check out Shacknews' Destiny 2 complete strategy guide. Where is the Verdant Forest in Destiny 2?